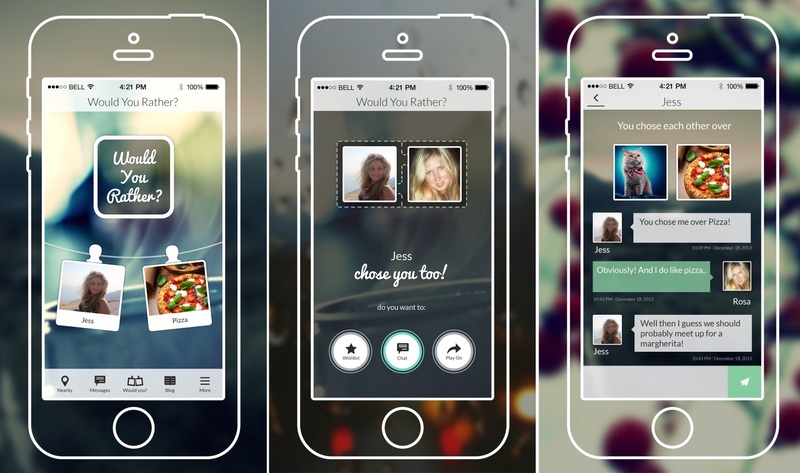 Dattch, the iOS dating app for lesbian, bisexual and bicurious women, has been updated today to include a new feature designed to connect its users to like-minded matches more quickly. According to the company, it takes an average of 20 minutes for a female member to send a message to another user after looking at their profile. The new Would You Rather feature is designed to cut that time down to a minimum and promote interaction. In essence, it’s a sort of twist on the ‘Hot or Not’ matchups found in other apps, but engineered towards Dattch’s female audience. It works by showing Dattch members a picture of another Dattch user and a picture of an ‘Alternative’. The Alternative category changes daily and includes things like holidays, foods and specific interests or hobbies. If both users pick each other over the Alternative, they’re then each sent a message informing them of that fact. It’s at that point they get to find out if the other person was really interested in them, or just really hates cheese. Either way, it’s something to talk about.